Today, it would be difficult to find a company that does not proudly claim to be a customeroriented, customer- focused, or even-customer driven enterprise. Increasing competition (whether for-profit or nonprofit) is forcing businesses to pay much more attention to satisfy customers. The state of satisfaction depends on a number of both psychological and physical variables, which correlate with satisfaction behaviors. The level of satisfaction can also vary depending on other options the customer may have and other products against which the customer can compare the organization‘s product. Customers‘ satisfaction has now become major concern of the mobile service providers in our country. 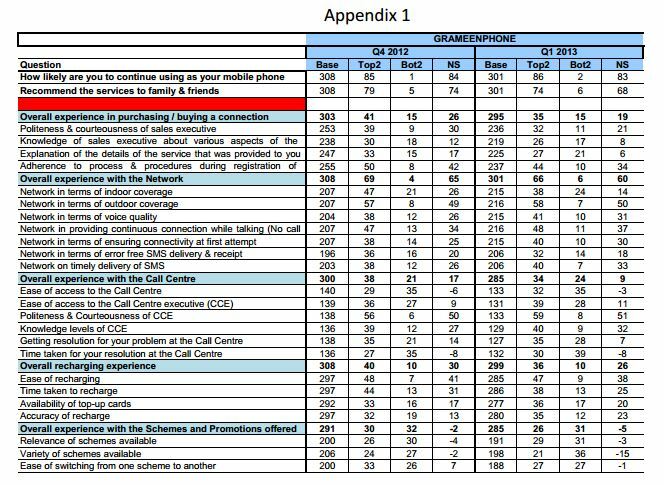 The objective of this study is to provide a more comprehensive understanding of the process of customer satisfaction on the services provided by the Airtel mobile operator in Bangladesh. To measure the customer satisfaction a questionnaire was designed by comprising some important variables. 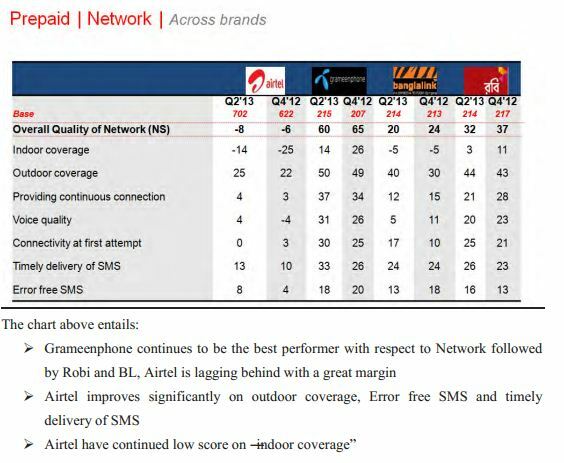 Based on the findings of the study some recommendations have been made which may assist Airtel to increase their customer base through more satisfied customers. Customer satisfaction is a fundamental construct of business in the last three decades. It is a crucial concept of any business because for a business it is more important to gain new customers than retain the existing ones. Therefore, in this present decade, companies have gained better understanding of the importance of customer satisfaction (especially service oriented companies) and adopted it as a high priority operational goal. Customer satisfaction, a term frequently used in the business world, is a measure of how products and services supplied by a company meet or surpass customer expectation. Customer satisfaction is defined as “the number of customers, or percentage of total customers, whose reported experience with a firm, its products, or its services (ratings) exceeds specified satisfaction goals.” People in Bangladesh are becoming demanding day by day and more professional than previous. They need to share more information to each other because demography has changed due to the era of globalization. Mobile phone has introduced a tremendous change in the communication sector in our country. It has changed the communication structure also. People in various occupations and income levels are using mobile phone intensively for their occupational purpose and personal purpose as well. There are six mobile phone operators are running business in Bangladesh. Among them airtel is the late entrant in the market. The other telecom companies are continuing operations for more than 1 decade (except Teletalk). At the beginning of this era, the mobile phone services were limited to few numbers of customers due to high connection price and call charges. Moreover, the network was also restricted to some divisional cities and in few major cities in the country. However, at that period, price being excessively high, a big chunk of the investment had been regained very smoothly by the telecommunication companies. As the technology developed and the tariffs reduced by the companies people were getting more engaged with this portable telecommunication services. For this reason, the early entrants in the market acquired enormous time for the network expansion. As a result, their subscriber base reached to more solid stage. After entering of Airtel in the market, there was a remarkable change seen in telecommunication industry. The competition has been more intensified in terms of pricing and service providing among the mobile phone companies. Airtel is struggling with the other competitors by offering new and unique services to keep up the market share. In spite of Airtel being vastly well accepted among young generation for its youth oriented campaign and promotions and the lower tariffs and high FnF facilities, they were only able to make themselves appealing towards urban people to use Airtel prepaid connection. Due to the limited network coverage, high satisfaction among existing customers‘have been a challenge. Along with that, there are some other problems prevailing with the prepaid connection which make the customer feel unpleased. Hence, to survive in this competitive environment, it might be very difficult to keep the existing customers satisfied and to grab more market share. It is therefore imperative for Airtel to analyze the customer‟s opinion in this regard to its services and take care of the dissatisfaction. This study is aimed at reviewing the prevailing situation to assist Airtel so that it can take appropriate measures for its improvement if needed. This report has been prepared to fulfill the partial requirement of my Internship of BBA Program of BRAC University. In order to complete my 12 week internship in Airtel Bangladesh Limited, I have prepared this report in align with my assigned job responsibility. 1. 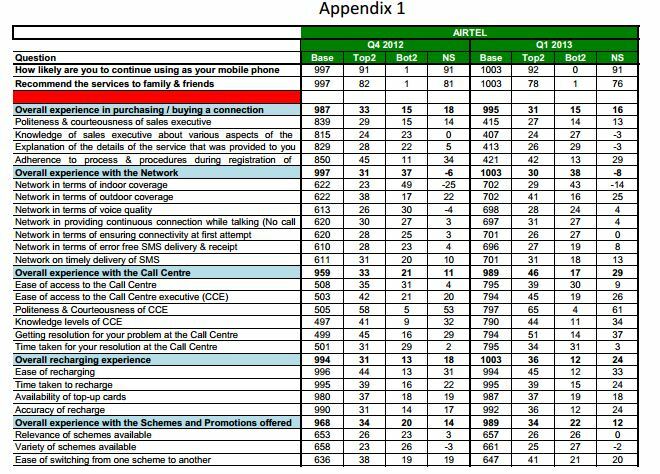 Broad Objective: The broad objective of this report is to find out the customer satisfaction level of Airtel prepaid customers. As the key driver of customer loyalty, many researchers increased emphasis on customer satisfaction. High level of customer satisfaction may lead to more loyal customers which means can bring more profit for enterprise. There are many kinds of definition of customer satisfaction, but no precise definition already been development. According to the researchers, the working of customer mind is like a black box. That is an observer can only see what goes in and what comes out but not what happened inside. Satisfaction may result from a very simple or a complex process involving extensive cognitive, affective and other undiscovered psychological and physiological dynamics. products and service with their prior expectations. The difference between expectations and perceived quality is called disconfirmation. If it is positive disconfirmation (the expectations are met or exceeded), the consumer is satisfied; if it is negative disconfirmation (perceived quality falls short of expectations), and then the customer is dissatisfied. 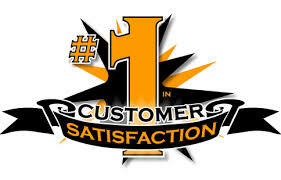 ACSI (American Customer Satisfaction Index), SCSB and ECSI define customer satisfaction as overall satisfaction. So here my theoretical framework treats customer satisfaction as overall satisfaction. The cost of the prepaid connection is one of major factor for the customers. Most of the people in Bangladesh are low income level. Therefore, to attain more customers Airtel should not charge high price for the new connection so that it can be affordable to the low income people. Moreover, tariff of the prepaid packages must be reasonable to keep satisfied its customers. Availability of the product at the right time leads the customers to a better experience. Customers always want the product to be availed near at home. They do not wish to go far to have product and other related services. However, the prepaid customers require top-up their credit more frequently. So, to ensure frequent purchase and to build up long term relationship with the customers the top-up stores should be conveniently located to the prepaid users. Airtel provides the state of the art 24 hours customer supports through customer hotline for its customers in Bangladesh. Airtel subscriber needs to dial 786 to reach helpline. The hotline number has a language option for English, Bangla. It is a computer aided information base to afford immediate access to the information about the subscribers, but the operations are done manually. After dialing 786, subscribers are first welcomed by an automated and standardized process. Then he/she needs to wait for maximum 3 minutes. After that the subscriber reaches the Customer Manager. Most of the problems of the subscribers are solved by the helpline service. But there are some problems that cannot be solved over the telephone conversation. Subscriber need to appear physically to deal with those problems. Airtel has six customer care centers around the country, which is known as ―Airtel Experience Center‖ (AEC), located at key locations. These centers are directly run by Airtel itself. Airtel has more than two hundred outlets spread across Bangladesh, the largest chain of retail outlets in the country, which is further backed up by a chain of sub-dealers, affinity partners & distributors. Dealer outlets are known as ―Airtel Relationship Center‖ (ARC). Bill payment, address change, SIM replacement, new connection, scratch cards and sometimes mobile sets are sold at these outlets. Bill collection for post paid users and ―Ezee Load‖ top up for pre-paid users can also be availed at the franchises. These franchises directly appoint dealers and sub-dealers in their designated areas. Furthermore, Airtel also has more than four thousand ―Airtel Service Center‖ (ASC) around the Bangladesh. This service center handles the customer services, for instances, sim replacement, new connection, prepaid recharge, postpaid bill payment and other customer queries. These after sales services are very crucial to keep the customer informed and satisfied regarding Airtel. The main problem in which the research will focus is the analysis of customer satisfaction level of prepaid subscribers of Airtel Bangladesh Ltd. and the associated problems with the prepaid connection which is identified by asking relevant questionnaires to the prepaid customers of Airtel. 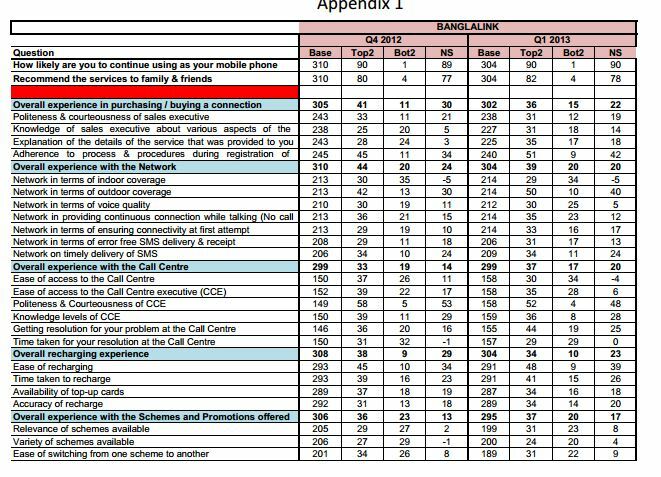 The information needed for the study will be the customer‘s perception level of using Airtel prepaid connection, an overview of the problem, situation and what sort of problems the subscriber faces regarding this services. 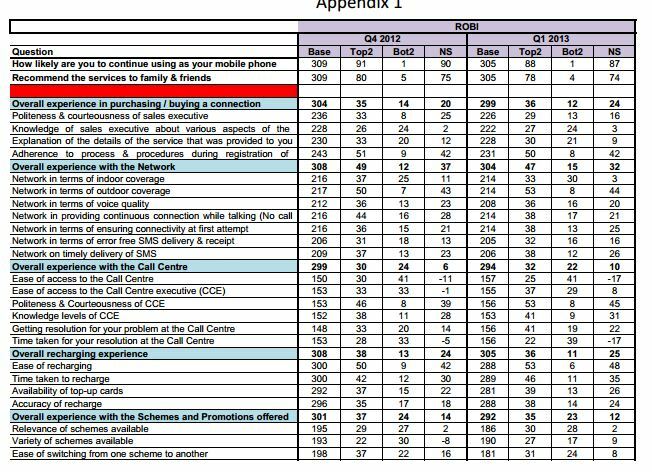 For this report, judging perception and loyalty level for the prepaid services have been obtained by asking questions and doing survey on the Airtel prepaid users. For measurement and scaling, Non-Comparative technique is selected because each object will be scaled independently from other objects in the stimulus test. A Likert Scale has been used for the measurement and scaling. A Likert scale is a psychometric scale commonly used in questionnaires, and is the most widely used scale in survey research, such that the term is often used interchangeably with rating scale even though the two are not synonymous. When responding to a Likert questionnaire item, respondents specify their level of agreement to a statement. For gaining full view of customer‘s perception of the prepaid services and their response level on each questions five response categories will be used starting from strongly agree to strongly disagree. To conduct the analysis, each statement is assigned a numerical score ranging from 1 to 5. So the point of strongly agree is 5, and strongly disagree is 1. After getting the Data the measurement has been done through the GAP analysis of Top2 (Strongly Agree and Agree) and Bottom 2 (Strongly Disagree and Disagree). After that, the gap is measured and compared with the trend and thereby, the findings are received based on positive and negative trend. The questionnaire basically has three parts. First is the demographics, second is the ONSS (Output Net Satisfaction Survey) and the final one is INSS (Input Net Satisfaction Survey). ONSS includes recommendation of the existing users to new users as an output of satisfaction. On the other hand, INSS includes several factors that indicates that the extent of customer satisfaction. There are 10 processes that are identified as key factors of customer satisfaction. In order to make the sampling frame as a representation of the elements of the target population, in every quarter different samples are considered so that one respondent is interviewed twice within 6 months. The framing includes 950+ respondents consisting at least 20% platinum users (over 1000 taka usage per month). Also, it is required to maintain similar distribution of socio-economic cluster population and at least 30% of young respondents (between 18-26 years of age) irrespective of income in order to conduct the survey. The survey is done by a third-party vendor and survey data is collected in every quarter from them. The Data is collected through a third-party vendor quarterly. Airtel Bangladesh receives the data from the third party data bank and conduct certain analyses. Moreover, selected respondents are asked to join a focused group discussion in order to find out customers‘ perceived lacking of the service. Therefore, only primary data sources are used to conduct the project. After completing the research survey for 3 months, data preparation for the project is started. In order to analyze the data, Microsoft Excel is used to formulate and find out impact and performance of INSS and ONSS. The ONSS and INSS are dealt differently in each quarter. However, the mean score of ONSS and INSS is compared with the trend and the sum of ONSS and INSS is the Customer Satisfaction Index (CSI) of the quarter, which is also compared with the previous trend. After that, the trend is compared with the competitors in the market. 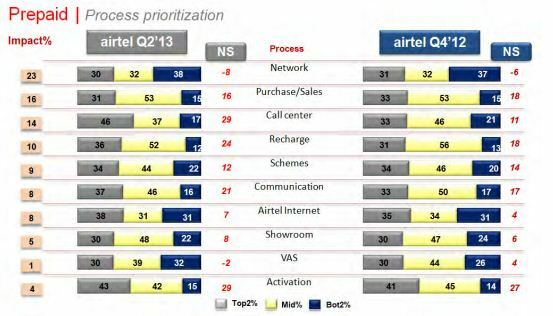 And thereby, it is evaluated in which part Airtel is lagging behind. In the INSS part, there are 10 statements to decide and find out the overall input measures of satisfaction. Each process statement is analyzed deeply with one than one sub group statement where, a single process is analyzed with various statements. A regression is run on each process to analyze the impact (in %) of the statements on a process. Finally, the benchmark of Brand Loyalty has been created to check the performance of brands against market scenario. 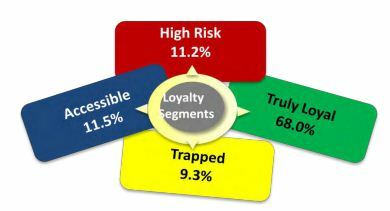 Four loyalty segments have been created for the market taking all the four statements for all the six brands against the market. The formulation of the following statements was required to find out the brand loyalty of the prepaid customers of the whole industry. Truly Loyal – those that feel positive towards and intend to continue to use your company. Accessible – those that feel positive towards your company and yet, they are not likely to continue. High Risk – those that don‘t feel positive towards your company and are not planning to continue the relationship. The analysis is done among the platinum and data users as well which is described in the later part of the report. The research findings are organized in coherent and logical way. 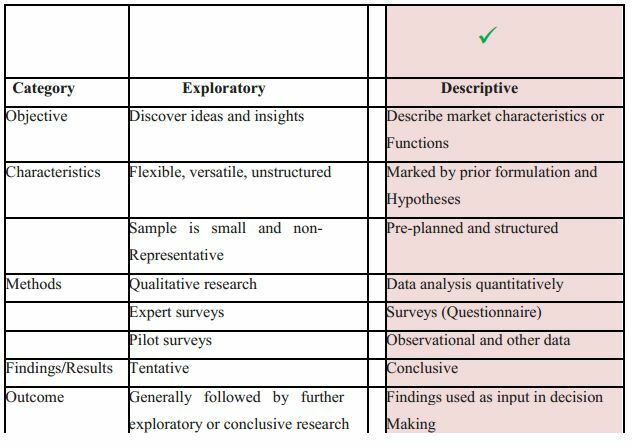 After the completion data analysis successfully the findings are represented in four segments. The research findings of this project begin with the overall CSI finding and comparison with the trend. The second part contains the critical process overview and a comparison with the previous quarter‘s report. The following one contains the comparison with the industry. 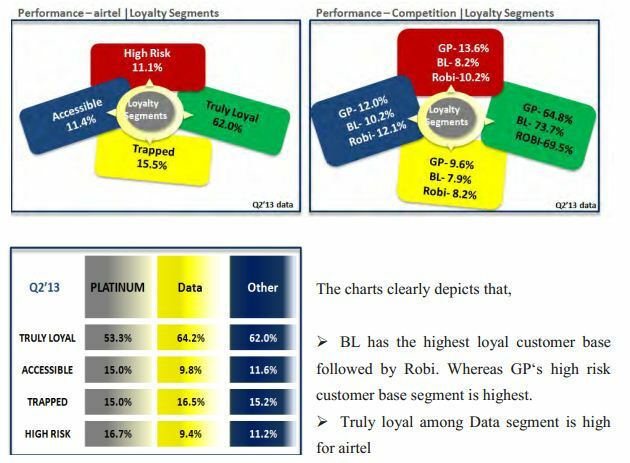 And finally the brand loyalty findings are explored in the finding segment. 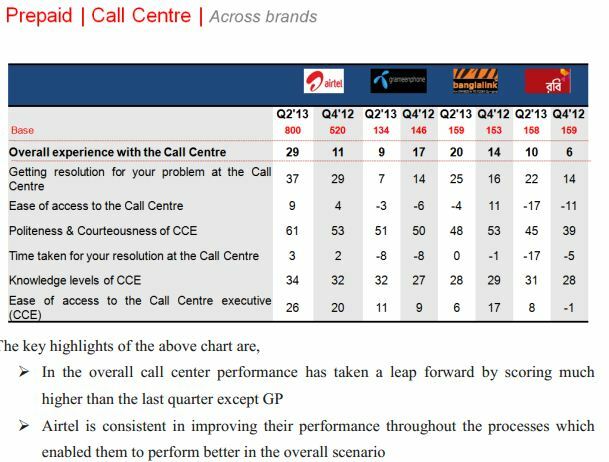 Airtel witnessed stable performance on CSI in this quarter, largely driven by its process performance. ONSS declines by a narrow margin. 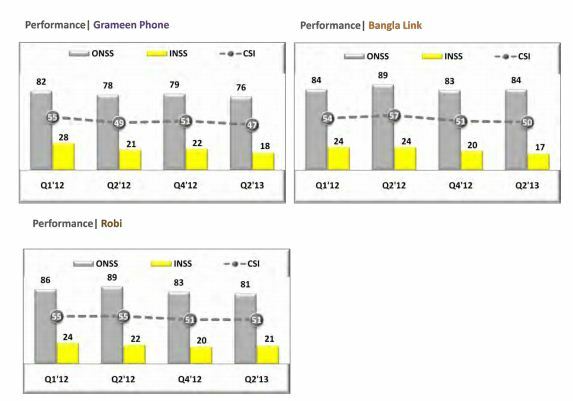 ONSS score has gone down because of ITRs decline this quarter. From the charts above, we can clearly depict that, except for Grameenphone, all the another competitors have stable CSI. However, the competitors except Grameenphone have higher CSI that Airtel. It is in evident that, the overall CSI of the whole industry has gone down over the years. The chart illustrates that, the sales purchase, schemes and promotion, communication, and VAS satisfaction decreased over the years. 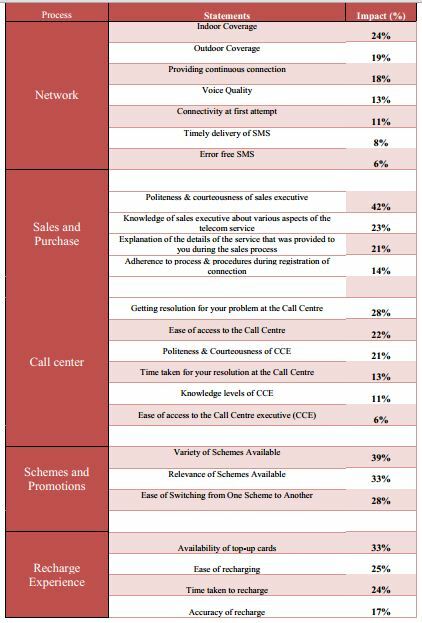 However, the activation, recharging, call center support satisfaction increased vastly, which resulted a higher INSS score than the previous survey. 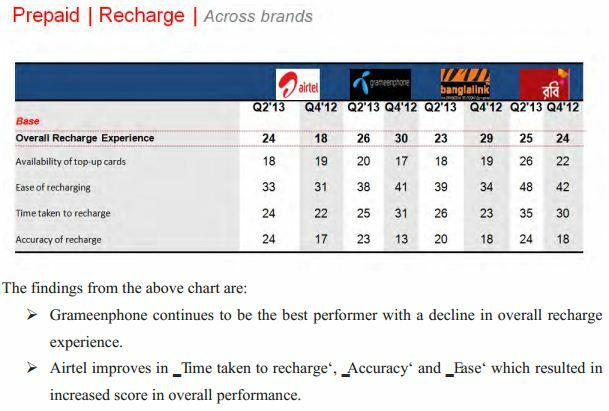 The competitors score is compared with the Airtel‘s scores and the following findings are received. All brands‘ overall experience showed decline excepting Robi. Most of the respondents suggested airtel to upgrade its network coverage as soon as possible. The recommendation part of the project is prepared based on the research findings. By following those recommendations, Airtel can decrease the dissatisfactions of the customers and thus earn a sustainable, distinct competitive advantage to achieve more market share. Airtel must upgrade the network coverage as early as possible. Since, the network up gradation has not been finished yet Airtel should offer Miscall Alert service for free. Customers understand that network improvement cannot be done overnight. But if miscall alert service is offered at free of cost the existing customers may compromise with the current situation and new customers may also wish to join Airtel. Thus, dissatisfaction may reduce regarding network problem. Airtel should not send unnecessary SMS to the subscribers. It makes the customers annoyed when a SMS is received during working hours. SMS can be sent on weekend, holidays, or in off-peak hour so that it does not make the customers dissatisfied. Internet is now an integral part of our life. Airtel internet service must be developed reasonably so that people can use more of it. The tariffs of the value added service (VAS) can be reduced so that more people can use VAS to enrich their moments. Airtel offers enormous bonus talk time or SMS to the prepaid customers usable for short time period. Customers get dissatisfied when they find that validity of using bonus offer expires before it is consumed. Therefore, Airtel should increase the validity date for the bonus talk time and SMS to enhance the satisfaction level. People can afford to buy an airtel connection with handset. Airtel‘s new strategy of branding below the line must not be the only way of expanding their visibility. Above the line efforts are equally required to be taken. expand the network coverage soon for a sustainable future.